On my way home today I ran the usual gauntlet of big box stores and fast food restaurants—McDonald's, ToysRUs, Burger King, Walmart; you know the drill. Tens of millions of people around the country (and many other countries) will do the same on this day, traveling paved pathways through neon mazes emblazoned with all-too-familiar logos. Just as these corporations are generally based far away, so too the energy fueling our cars (and heating our homes upon arrival) comes from distant locales. The same is true for most of the foods we eat, the music we listen to, and the information we consume on television and the internet. Globalization has homogenized the industrialized world (and large parts of the non-industrialized world). Is it any wonder, then, that, awash in this sea of sameness, few of us feel a strong attachment to the places that we live? After all, if one place looks basically like any other, what difference does it make which of these you call home? Bolstering this detached state of affairs is the recent trend for people to live and work in multiple states, provinces, and/or countries over the course of their lives. Such rampant uniformity and unrootedness is new for us, just a few decades old. For most of our lengthy duration, we humans have been intimately tied to our natal places such that the local scents, sounds, sights, tastes, and textures became integrated into our sense of identity. In addition to being steeped in the local community—its culture, foods, and personalities—we knew many of the local animals and plants and understood local rhythms—what month of the year a certain migrating bird arrived or a particular crop should be planted. Previously in this blog and in its foundational essay, I have argued that Western societies currently suffer from a dysfunctional relationship with nonhuman nature, and that a sustainable future must include not only greener technologies and lifestyles, but a radically transformed worldview as well. Specifically, I have made the claim that three key elements are needed: 1) new metaphors (e.g., the tree of life, the whirlpool of life); 2) a new story, or origin myth (the Great Story, from the Big Bang to us); and 3) a renewed sense of place. Recent posts have addressed the first and second of these items. Today I will delve a little deeper into the third. Yet, given present trends towards globalization and homogenization, how are we to shift worldviews, moving from rampant placelessness to a meaningful sense of place? To begin with, how can we encourage large numbers of people to recognize the value of place and local community? In an effort to address these questions, I have become increasingly interested in the intersection of two concepts: “biophilia” and “topophilia.” Although they may sound like contagious diseases, this pair of ideas may just be critical ingredients for resolving the current eco-crisis. Biophilia, often defined as the human bond with other species, was described by biologist E. O. Wilson (2). Wilson suggested that this bond was innate, the result of millions of years of evolution in intimate contact with the nonhuman world. Topophilia, defined as an affective bond with place, is a lesser known concept described in particular by geographer Yi-Fu Tuan (3). In short, topophilia refers to a love of place, and biophilia to a love of life. I have often wondered if our long heritage as place-based beings means that we also have an innate tendency to develop bonds with the places we live. Combining the two ideas, it seems reasonable to postulate that we have within us a genetic predisposition to form bonds with the other life forms that live in and around our home places. Whether or not the above hypothesis is borne out, it seems to me that we need to work toward building emotional connections with the living beings that share our native places; after all, they are key to our survival. It seems highly improbable that such connections can be forged through books, television, or the internet. No, if we are to renew our relationship with nonhuman nature, it must come from direct, firsthand experience. Fortunately, a number of recent movements are taking us in the right direction, and demonstrating the benefits of fostering both topophilia and biophilia. Below I mention three of these. First, farmers markets are making a strong comeback in North America and Europe (1). These markets are full of local, sustainably harvested, often organic foods with a tiny fraction of the travel miles (and thus greenhouse gas emissions) that typify most foods in the Western World. Many participating farms conduct tours, allowing people to see firsthand where their food comes from and how it is raised. Second in this brief list is the recent “No Child Left Inside” movement, which aims to reverse recent trends and get children outside exploring nature as a means of enhancing physical and emotional health. 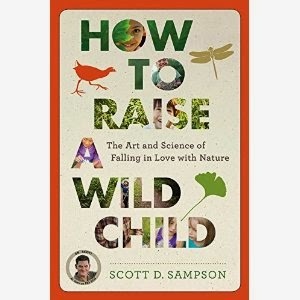 This grassroots effort, triggered by Richard Louv’s book Last Child in the Woods (4), is now supported by nonprofits such as the Children and Nature Network (http://www.childrenandnature.org/). The leaders of this effort recognize that, in most instances, lasting bonds with nature will be rooted in firsthand childhood expe rience outdoors. The third and final example is the schooling for sustainability movement, which has a strong place-based emphasis (5, 6). Although still nascent and concentrated in independent schools, this effort to learn from nature and to focus education on place, community, and service is perhaps the most exciting of all. Programs such as school gardens and reclaiming local watersheds promote both understanding and a passion for place (see also ecoliteracy.org). What can you do? Get more informed about, and engaged in, your place. Where does your food come from? 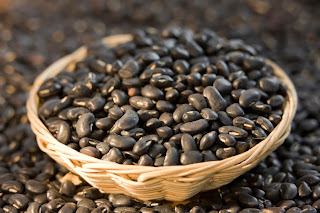 Chances are that local, healthy food alternatives are available if you are not already tapping into these. Where do your wastes (i.e., garbage and sewage) go to? Are there ways to reduce your impacts? Can you (and, if applicable, your kids) name a dozen local plants and animals? What types of community projects need your help? 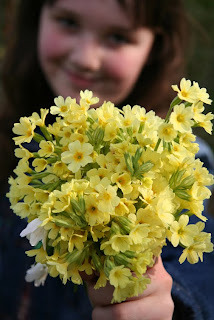 What children can you get outside and mentor? As a New Years resolution, think about adding one or two items that address local issues. In short, vow to become a lifetime topobiophiliac! Not only will you be healthier—your community will be too. Plus, it will be great fun explaining your new affliction to others! 1. Brown, L. R. 2009. Plan B 4.0: Mobilizing to Save Civilization. Norton, New York. 2. Wilson, E. O. 1986. Biophilia: The Human Bond with other Species. Harvard University Press, Boston. 3. Tuan, Y-F. 1990. Topophilia: A Study of Environmental Perceptions, Attitudes, and Values. Columbia University Press, New York (reprinted: original published in 1974). 4. Louv, R. 2006. Last Child in the Woods: Saving Our Children from Nature-Deficit Disorder. Algonquin Books, Chapel Hill, NC. 5. Sobel, D. 1996. Beyond Ecophobia: Reclaiming the Heart in Nature Education. Orion Society, Great Barrington. 6. Stone, M. K. 2009. Smart By Nature: Schooling for Sustainability. University of California Press, Berkeley. For the past four centuries, the machine has served as the dominant metaphor for life, causing us to regard organisms as amalgamations of parts. Although this reductionist perspective has generated tremendous insights—among them the germ theory of disease and the genetic basis of all life—the life-as-machine metaphor also transforms organisms into objects, fueling the notion that humans are meant to dominate nature. With a mechanistic mindset, forests become board feet of lumber and oceans are reduced to fisheries, hardly a recipe for sustainable living. Today the machine metaphor remains largely unchallenged, perpetuating a dysfunctional relationship between human and non-human life. And, as argued by numerous authors, this relationship threatens to bring down civilization itself. The only commonly used alternative at present is the web of life, a metaphor that directs much-needed attention at wholes rather than parts, highlighting the myriad interconnections that embed humans into the living world. The web of life is a powerful and evocative symbol(2). Yet it does little to challenge the nature of being indicated by a mechanistic worldview. On the contrary, since it is generally defined only in terms of causal connections, the web metaphor often reinforces this age-old perspective, with organisms serving as the cogs and pulleys that keep the ecosystem “machine” running smoothly. I am convinced that we are in desperate need of additional metaphors that more a ccurately represent the living world—and specifically the nature of being—as we understand it in the 21st Century. One possibility with considerable potential is what I have called the whirlpool of life. Everything flows, from air, water, atoms, and blood to apparently dense and unyielding things, like rocks, trees, and mountains. Particularly when we shift focus to atomic levels or geologic timescales, the internal make-up of things turns out to be ever-shifting, like river currents. Akin to whirlpools, organisms can be envisioned as swirling, evanescent concentrations of energy with poorly-defined boundaries that arise from the background flow, exist for a brief time, and then dissipate back into that flow. We are not merely interconnected with the natural world but derived from it, constantly re-making ourselves from the energy of the flow while retaining much the same form. 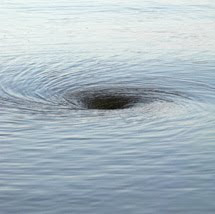 In essence, then, the whirlpool of life is a dual metaphor of both river and whirlpool. Like the machine, the swirling whirlpool represents the focal level of interest (say, cell, organism, or ecosystem). And like the web, the flowing river provides the background context (for example, the organism surrounding the cell, or the ecosystem encompassing the organism). The river also exemplifies the passage of deep time, as well as the force that connects all things into a single, unified story, from the Big Bang to the present day. I am certainly not the first to compare life to whirlpools. Consider this 1950 statement from mathematician Norbert Weiner(3,4). "Pattern is the “organized complexity” from which all life was assembled and human beings ultimately emerged. That pattern of organization is the touchstone of our personal identity. Our tissues change as we live; the food we eat and the air we breathe become flesh of our flesh and bone of our bone...We are but whirlpools in a river of ever-flowing water. We are not stuff that abides but patterns that perpetuate themselves." To my knowledge, however, no one has proposed the whirlpool as a metaphor to challenge the hegemony of the machine. A great strength of the whirlpool, I would argue, is that, like the web, it is a familiar aspect of nature. Its primary symbol, the spiral, is also a common natural phenomenon, from unfurled ferns(5) to swirling tornadoes to immense galaxies. Additionally, the spiral is an ancient, almost ubiquitous cross-cultural symbol that resonates deeply in the human subconscious(6). This motif appears, for example, in Celtic monuments, Arabic architecture, Japanese rock gardens, Greek mythology, Australian aboriginal paintings, Native American petroglyphs, and African art. Spirals have often been used to represent flow and change--including the cycling of days, seasons, and entire lives—as well as physical and spiritual journeys. I am not proposing that the whirlpool replace the machine as the dominant metaphor; we will need many additional examples to help us through the present eco-crisis. Nevertheless, a spiraling whirlpool within a flowing river may just be a fitting symbol for humanity’s journey into an uncertain future. 1) Lakoff, G. and M. Johnson. 1980. Metaphors We Live By. University of Chicago Press, Chicago. 2) Capra, F. 1996. The Web of Life: A New Scientific Understanding of Living Systems. Anchor Books, New York. 3) Weiner, N. 1950. The Human Use of Human Beings. Houghton Mifflin, New York (quotation, p. 96). 4) Thanks to my friend Antonio Pares for bringing this quotation to my attention. 6) Ward, G. 2006. Spirals: The Pattern of Existence. Green Magic, Somerset, UK. Evolution is the scientific idea that will change everything within next several decades. I recognize that this statement might seem improbable. If evolution is defined generally, simply as change over time, the above statement borders on meaningless. If regarded in the narrower, Darwinian sense, as descent with modification, any claim for evolution’s starring role also appears questionable, particularly given that 2009 is the 150th anniversary of the publication of On the Origin of Species. Surely Darwin’s “Dangerous Idea,” however conceived, has made its mark by now. Nevertheless, I base my claim on evolution’s probable impacts in two great spheres: human consciousness and science and technology. Today, the commonly accepted conception of evolution is extremely narrow, confined largely to the realm of biology and a longstanding emphasis on mutation and natural selection. In recent decades, this limited perspective has become further entrenched by the dominance of molecular biology and its “promise” of human-engineered cells and lifeforms. Emphasis has been placed almost entirely on the generation of diversity—a process referred to as “complexification”—reflecting the reductionist worldview that has driven science for four centuries. Yet science has also begun to explore another key element of evolution—unification—which transcends the biological to encompass evolution of physical matter. The numerous and dramatic increases in complexity, it turns out, have been achieved largely through a process of integration, with smaller wholes becoming parts of larger wholes. Again and again we see the progressive development of multi-part individuals from simpler forms. Thus, for example, atoms become integrated into molecules, molecules into cells, and cells into organisms. At each higher, emergent stage, older forms are enveloped and incorporated into newer forms, with the end result being a nested, multilevel hierarchy. At first glance, the process of unification appears to contravene the second law of thermodynamics by increasing order over entropy. Again and again during the past 14 billion years, concentrations of energy have emerged and self-organized as islands of order amidst a sea of chaos, taking the guise of stars, galaxies, bacteria, gray whales, and, on at least one planet, a biosphere. Although the process of emergence remains somewhat of a mystery, we can now state with confidence that the epic of evolution has been guided by counterbalancing trends of complexification and unification. This journey has not been an inevitable, deterministic march, but a quixotic, creative unfolding in which the future could not be predicted. How will a more comprehensive understanding of evolution affect science and technology? Already a nascent but fast-growing industry called “biomimicry” taps into nature’s wisdom, imitating sustainable, high performance designs and processes acquired during four billion years of evolutionary R&D. Water repellant lotus plants inspire non-toxic fabrics. Termite mounds inspire remarkable buildings that make use of passive cooling. Spider silk may provide inspiration for a new, strong, flexible, yet rigid material with innumerable possible uses. Ultimately, plant photosynthesis may reveal secrets to an unlimited energy supply with minimal waste products. The current bout of biomimicry is just the beginning. I am increasingly convinced that ongoing research into such phenomena as complex adaptive systems will result in a new synthesis of evolution and energetics—let’s call it the “Unified Theory of Evolution”—that will trigger a cascade of novel research and designs. Science will relinquish its unifocal downward gaze on reductionist nuts and bolts, turning upward to explore the “pattern that connects.” An understanding of complex adaptive systems will yield transformative technologies we can only begin to imagine. Think about the potential for new generations of “smart” technologies, with the capacity to adapt, indeed to evolve and transform, in response to changing conditions. And what of human consciousness? Reductionism has yielded stunning advances in science and technology. However, its dominant metaphor, life-as-machine, has left us with a gaping chasm between the human and non-human worlds. With “Nature” (the non-human world) reduced merely to resources, humanity’s ever-expanding activities have become too much for the biosphere to absorb. We have placed ourselves, and the biosphere, on the precipice of a devastating ecological crisis, without the consciousness for meaningful progress toward sustainability. At present, Western culture lacks a generally accepted cosmology, a story that gives life meaning. One of the greatest contributions of the scientific enterprise is the epic of evolution, sometimes called the Universe Story. For the first time, thanks to the combined efforts of astronomers, biologists, and anthropologists (among many others), we have a realistic, time-developmental understanding of the 14 billion year history of us. Darwin’s tree of life has roots that extend back to the Big Bang, and fresh green shoots reach into an uncertain future. Far from leading to a view that the Universe is meaningless, this saga provides the foundation for seeing ourselves as fully embedded into the fabric of nature. To date, this story has had minimal exposure, and certainly has not been included (as it should be) in the core of our educational curricula. Why am I confident that these transformations will occur in the near future? In large part because necessity is the mother of invention. We are the first generation of humans to face the prospect that humanity may have a severely truncated future. In addition to new technologies, we need a new consciousness, a new worldview, and new metaphors that establish a more harmonious relationship between the human and the non-human. Of course, the concept of “changing everything” makes no up-front value judgments, and I can envision evolution’s net contribution as being either positive or negative, depending on whether the shift in human consciousness keeps pace with the radical expansion of new (and potentially even more exploitative) technologies. In sum, our future R&D efforts need to address human consciousness in at least equal measure to science and technology. Sustainability is arguably the most critical concept of our time, yet it is also a notorious buzzword co-opted for a variety of purposes. In many respects, if your goal is to mobilize the world to address the dire eco-crisis of the 21st Century, the word falls well short of the mark. Are we really supposed to get enthusiastic about “sustaining?” Wouldn’t it be better to “thrive?” Perhaps the rallying cry should be “Thrivability!” Nevertheless, given that the S-word seems to be what we’re stuck with for the moment, I need to ask: What does sustainability mean to you? This is a question we all should be contemplating. And the answer should be based as much as possible on a clear-headed view of the world. With the latter in mind, I would like to address what I see as three major misconceptions about sustainability, fundamental assumptions that must be recognized if we are to forge a viable path into the future. Misconception #1: Humans are separate from (nonhuman) nature. Misconception #2: Sustainability is a destination. Sustainability is commonly thought of as an ultimate goal or endpoint, a utopian state of equilibrium where humanity final reins in its excesses and strikes some sort of balance. Commonly cited characteristics of a sustainable future include greatly improved energy efficiency, a shift to clean energy (“green electrons”), a vast reduction of wastes and toxins, a focus on locally produced organic food, and conservation of diverse ecosystems. Yet ecosystems and human societies, arguably the two most complex systems known, are dynamic and open, operating far from any equilibrium state. Like all such systems, their behaviors do not follow simple linear cascades of cause and effect (A influences B, which influences C, and so on). Instead these systems are chaotic and nonlinear, ruled by mutual causality (A, B, and C all influence one another, along with many other components in the system). Small inputs frequently generate large and unpredictable consequences (the infamous “butterfly effect”), and ecosystems have the ability to change in response to shifting conditions. Rather than being a final goal or destination, then, sustainability is better regarded as an ongoing evolutionary process. Truly sustainable societies will mimic nature’s ecosystems in being resilient and adaptable, capable of absorbing perturbations and undergoing transformations once limits are exceeded. Misconception #3: Sustainability is a global phenomenon. Closely related to the fiction of sustainability as a destination is the notion of “global sustainability.” Yes, we now live in a deeply interconnected world in which a gazillion bits of information travel around the planet each second and the global economy is vulnerable to local collapses. I get that. Yet the idea that sustainability must be global is rooted in misconception #1, the presumed separation of humans from nature. Let’s consider, for a moment, the idea of sustainability from Mother Nature’s perspective. Natural environments vary dramatically in their capacity to provide food, shelter, medicines, and energy, to assimilate wastes, to process and store carbon and nutrients, to purify water and regulate runoff, to build and maintain soils, and to house biological diversity. Sustainability, then, must be attuned to local (rather than global) needs. Add to this the fact that human social systems are also highly diverse, dependent on such factors as religion, ethnicity, and governmental structure, and the need for localization becomes even more evident. Notwithstanding present trends toward globalization, sustainability must be locally and regionally based, adapted to place-specific limits, and achievable at larger scales (for example, states, nations, and the biosphere) only on a cumulative basis. Of course, innovations in both technology and education will provide critical tools applicable in a wide range of settings. Yet there will be thousands upon thousands of sustainable solutions rather than one; indeed, in a very real sense the process will be unique to every place. Imagine if the vast bulk of us understood—not just intellectually, but on a deeper gut level—that humanity is not separate from nature, but rather intricately interwoven into the fabric of the biosphere. Imagine if we thought less about reaching some utopian endpoint and worked instead to create adaptable societies capable of responding to inevitable perturbations. And imagine if the elements of those societies—for example, housing, transportation, industry, and energy supplies—were designed so as to be embedded into native landscapes, mimicking the workings of natural systems. Such a revamped perspective would make us think entirely different about our daily decisions, since we would know that those decisions have ramifying effects that either nurture or harm the places we live. Can Dinosaurs Save the World? Why should we give a whit about dinosaurs? After all, they’ve been extinct for millions of years. I mean, it’s probably ok for little kids to be fascinated with these long-dead beasts. But how can we possibly justify spending precious time and resources trying to understand dinosaurs? As a dinosaur paleontologist, I’ve been asked some version of this question many times over the years, and I admit to trying on a variety of answers. Often I've said something like, “The study of dinosaurs can lead to unexpected discoveries; for example, the ways in which ecosystems transform over long time periods.” In the end, however, most of these appeals to scientific insights with supposed benefits to humans seem, shall we say, wanting. The one exception may be the asteroid impact hypothesis. This now familiar idea claims that the collision of a giant asteroid with the Earth (generally thought to be in the Gulf of Mexico region) caused an immense cloud of dust to be tossed high into the atmosphere, circulating around the globe, blocking out the sun, halting photosynthesis for some brief period, and thereby causing the deaths of numerous species, including most dinosaurs alive at that time. Recognition that such a localized event could result in dire global repercussions was used by scientists testifying before the U.S. Congress to argue that the notion of “winners” in an all-out exchange of thermonuclear warheads was sheer madness. In effect, then, one could argue that the scientific study of dinosaurs resulted in a discovery that may have saved humanity! Nevertheless, these days I argue more strongly than ever that we humans have much to learn from dinosaurs. The difference is that the identity of the “we” has morphed. Instead of referring to all that scientists can glean from understanding dinosaurs, I am convinced that the public can benefit most from such understanding. To be clear, I am not saying that dinosaur paleontology is dead or dying. No, this small but vibrant corner of science is more active than ever; to give one superficial metric, more “new” dinosaurs have been discovered in the past quarter century than in all prior history. My argument is simply that, from a strictly utilitarian standpoint (which, of course, is only one reason for doing science, and completely misses the long-standing human passion for exploring nature), it’s the non-scientists who have the most to gain from learning about dinosaurs. Let me explain. Today most of us exist within a snapshot of time. We do not consider our place in the deep time pageant of life on Earth, and thus think little about life’s future on this planet. Sustainability, I contend, must include a shift in mindset rooted in a revised sense of our place in nature. Recognizing that “everything is connected”— the mantra of many environmentalists, as well as ecologically-minded educators—is certainly critical. But if these connections exist only in the present day, we are lacking an essential component: the Great Story. As the only human cultures lacking an origin story, industrialized societies may well be unique in the history of our species. Yes, the major religious traditions offer origin stories, and all indigenous peoples of which I am aware have such grounding myths. Yet vast numbers of us in the Western world lack any meaningful comprehension of where we come from, with dire consequences for our sense of meaning and larger purpose. This ignorance persists despite the fact that, particularly during the past few decades, sciences like cosmology, geology, paleontology, and anthropology have generated what is without doubt the most accurate glimpse into who we are and how we got here. The Great Story—encompassing the origins of the universe, the Milky Way galaxy, the Solar System, Earth, life, and humanity—has abundant potential to provide the larger context of our lives. It deserves to be taught at all levels of education, from elementary years, through middle and high school, and on into university. Yet thus far it is all but absent from education. At present, dinosaurs are presented like some sort of prehistoric eye candy, strange giants from a distant time that might as well be from a distant planet as well. (As I receive feedback on my recent book, Dinosaur Odyssey, I continue to be struck by how many people comment on the lack of glossy pictures, as if any treatment of dinosaurs cannot be complete without a large format and page after page of color reconstructions.) Yet, as the most famous of all extinct animals, dinosaurs offer an exceptional access point into the Great Story—our story. They can help us forge links between the distant past and the present day (e.g., modern birds as living dinosaurs) and insert us back into the flow of deep time (Tyrannosaurus lived closer to you in time than to Allosaurus or Stegosaurus). These ancient creatures can be used to demonstrate that every ecosystem on Earth, whether in the Mesozoic or the present day, is the culmination of millions upon millions of years of co-evolution between and among life forms. Since their heyday overlapped with the fragmentation of Pangaea, dinosaurs also provide an excellent forum for communicating the workings of plate tectonics and the physical evolution of our planet. They can even serve as able guides as we contemplate such pressing issues as global warming (i.e., the Mesozoic was a hothouse world with perhaps no persistent polar ice caps) and mass extinction (the end-Cretaceous event was the last mass extinction on Earth, until the most recent one caused by humans). I am not suggesting that we lay the weight of the world’s ecological crisis on the shoulders of youngsters. As educator David Sobel says, education should include no disasters before the fourth grade. Yet, in part because they spark the imaginations of children and adults, dinosaurs are a terrific vehicle for addressing numerous aspects of science and nature, including the Great Story. Can dinosaurs save the world? Not on their own. But they can be a tremendous help as we educate coming generations to contemplate nature, and their place within it, in ways that may seem almost unimaginable to us now. Happy Birthday to Darwin's Origin of Species! 2) What is this blog about? The Whirlpool of Life is a blog about nature. It’s about how the living world works and how we perceive it. I will also be much concerned with deep time and our relationships with the 99% of “earthlings” that are now extinct. Posts will encompass a wide range of topics, spanning paleontology, evolution, ecology, education, sustainability, philosophy, and psychology. The thread that I will use to weave these topics together is science education, and nature literacy more specifically. 3) Who is The Whirlpool of Life intended for? Parents, educators, students, scientists, environmentalists, nature lovers, and anyone else who cares about the future of our children, and of the living world more generally. This is NOT a blog solely for academics, or for specialists of any kind. Rather it is intended for a general audience, and I will work to keep the language accessible to a broad audience. 4) What is the rationale behind this blog? My underlying contention (shared by growing numbers of people from all walks of life) is that the current sustainability crisis is not merely an external crisis of the environment. More fundamentally, it is an internal crisis of worldview rooted in a dysfunctional relationship between humans and nonhuman nature. Thus, any meaningful resolution to the eco-crisis will require not only “greener” technologies and lifestyles, but also a fundamental shift in awareness and understanding, particularly within Western nations. Since worldviews are built upon a lifetime of experience, it’s highly doubtful that the necessary transformation will occur solely among adults. Rather we must rethink, indeed reinvent, education, placing less emphasis on upward mobility and more on living well; less on generating consumers and more on serving communities, including communities of nature. I am convinced that the concept of evolution has a pivotal role to play in this gargantuan effort. Darwin triggered an intellectual revolution, with effects that have cascaded through science and society. Yet Darwin’s foundational concept of common descent through deep time remains virtually untapped outside academia. In particular, this concept has not been communicated in such a way as to shift our relationship with nature. Schooling for sustainability, I will contend, should be rooted in three intertwined elements, each of which informs the other two: 1) new metaphors that augment the dominant “life-as-machine” and “web of life” examples, enabling us to perceive the world in new and instructive ways; 2) the Great Story (encompassing the evolution of cosmos, life, and culture), which provides a universal origin myth and anchors us in the grand narrative of life on Earth; and 3) a strong emphasis on place, including abundant time spent outdoors actually experiencing nature. Together, this trio of elements—metaphor, story, and place—have the power to transform education and help trigger a change in the dominant worldview, thereby serving as springboard to a sustainable future. Ultimately, I am not out to provide comprehensive answers to the daunting questions surrounding education and sustainability. My aims are much more modest, though still ambitious: 1) promote a much-needed (and presently ignored) discourse about education’s role in shifting worldviews; 2) propose new language and a series of ideas aimed at altering the human-nature relationship; and 3) foster the conditions for changing the education system. Think of The Whirlpool of Life as a trailhead of sorts, offering readers an increasingly nuanced map of unfamiliar terrain, together with a set of tools to continue the exploration along a variety of paths. 5) What format will the posts take? Although my goals are lofty and my argument multifaceted, each post will be written as a self-contained whole. Many will take the form of a narrative, in keeping with my strong bias that science is best communicated through stories. In general, I will begin with a specific item from my personal experience—perhaps an encounter in nature or a conversation—and use this as an entry point into a broader issue. 6) How often will new posts appear? My aim is to post at least once per week. 7) Ok, so how do we get this thing started? Today, November 24th, 2009 marks the sesquicentennial anniversary of the publication of Charles Darwin’s, On the Origin of Species—one of the most important and influential books of all time. In this Darwinian anniversary year (also marking his 200th birthday), we have seen much discussion of the profound impact of evolutionary thinking on diverse realms of human inquiry, from genetics, nanotechnology, and paleontology to psychology, philosophy, and neuroscience. Without doubt, Darwin has had a deep and lasting influence on our intellectual understanding of the world. Nevertheless, I would argue that, 150 years after the Origin, the essence of Darwin’s contribution has yet to be broadly realized, or at least internalized. . . . Thanks very much for visiting! And stay tuned. Upcoming posts will discuss some unfamiliar and provocative metaphors for understanding nature, and address the surprising role that dinosaurs might play in saving the planet! Just a reminder that the Whirlpool of Life goes live this coming Tuesday, November 24th. 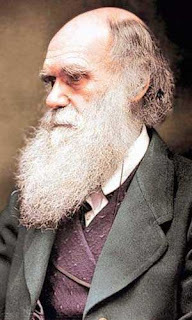 The kick-off will include an essay marking the sesquicentennial of Darwin's On the Origin of Species; the essay will also serve as a foundation for the blog, describing how Darwin's central idea--common descent through deep time--deserves a special place at the core of our educational curriculum. Scott Sampson's blog, "The Whirlpool of Life"--which will tackle issues surrounding evolution, education, nature literacy, and sustainability--will be formally launched on November 24th, the 150th anniversary of the publication of Charles Darwin's, "On the Origin of Species." Stay tuned!